The most popular means of transportation in Abeokuta are taxicabs and bikes. Buses and trains are less and are least popular in terms of movement. Perhaps this is due to the population and movement rate of the populace (approximately 500,000) compared to Lagos which houses over 20 million.I took a straight shuttle from the main campus of Mapoly straight down to the notorious Panseke. 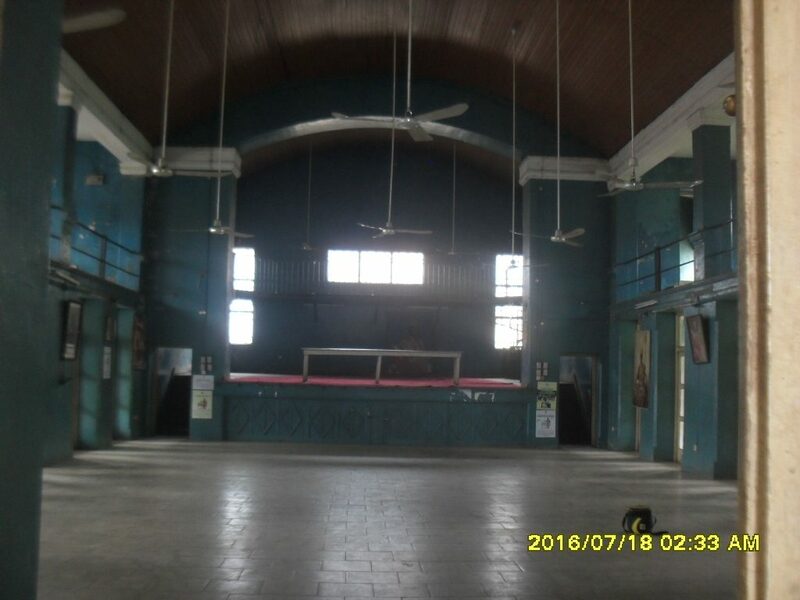 The aim was to quickly visit Centenary Hall Ake, one of the oldest monumental structures in the state. Panseke is to Abeokuta what Oshodi is to Lagos. It is the most popular bus stop in this rocky city. According to one of the aged drivers who embarked on a lengthy narration session on getting to know I am a stranger, ‘Kosi oko ton wa ti ooni ri ni panseke‘ (i.e in panseke, you will find a bus or cab to wherever you are going in Abeokuta). I boarded a bike after many minutes of continuous haggling because in Abeokuta, what they do is add at least #50 to the original cost of the fare. For instance, if the real cost of a fare is supposed to be 100 the driver/rider will tell you it’s 150. Expecting you to haggle the price down to 90 naira, but if you don’t, you’d angrily continue to live with the perception that ABK (an acronym for Abeokuta) is an expensive city to live in. Haggling is a highly needed trait every traveler should have, trust me. The picture soon became clearer and more colourful when on alighting right in front of the cream painted building, I discovered the Centenary Hall Ake stands directly in front of the almighty Alake’s palace. “How long could this building have been standing here?” I wondered as a moved cautiously towards the evidently empty edifice. “Perhaps, it’s not an opening day”, I wondered as I went closer, this time a few steps away from the entrance. As I made the last step, I heard someone shout (signifying that I wait and at the same time asking me what i wanted). With my travel handbag strapped around my shoulder, I quickly retreated from the action as I walked briskly towards the frail looking man seated inside a shop right beside the hall. It wasn’t difficult to understand that he was the one in charge of the hall. He inquired my mission and I wasted no time in prostrating while I answered his question as I rose from my horizontal position. He was impressed with the mission with the look on his face. I was almost sure he’d be glad to show me around the hall as intended. We set to work instantly as he led me into the hall. 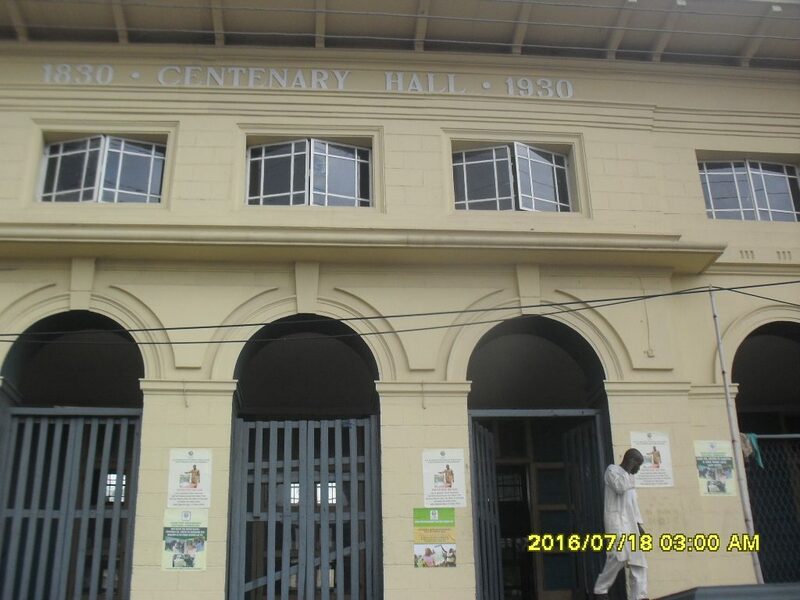 According to him, the Centenary Hall Ake is the photo album of Egba Land, it is where the portrait of past heroes of Egbaland are being fixed for sake of history. Baba brought out a historic book which houses the names of past kings, chiefs and heroes in Egba land and their period of reign. Baba decried the poor data collection attitude of Africans including Nigeria because the farthest the book could provide us was as far back as 1920. I consoled him with a prolonged grin- assuring him that I’d try my best in doing my part in helping the situation. According to history,Oba Oladapo reigned from 27th of sept. 1920 to the 26th of December 1962, spending a whooping 42 years on the throne. King Samuel Adeshina ascended the throne on the 28th of September 1963 and ruled until the 3rd of February 2005 (another 42 years). Stepped in November 2006 and is still the present ruler till date. Chief Sogunle during his time was the Balogun of Egba from 1815 to 1911. This chief was the Asalu of Egbas and base of Ake during his reign. He was also the president of the native court grade “A” Ake Abeokuta and later died at Abeokuta on the 25th of January 1925. He was a descendant of The Larun and Jibodu house. Reigned from 1865 to 1949. Up till his death, he was the Balogun of all the Christians in Egba land. Was installed as Balogun Ilagun on the 3rd of March 1906 and became the Otun of Egba land in 1907. He later died on the 29th of June 1913. Born in 1886 and died in 1953. He was the Asoju of Egba land during the reign of late king Oladapo Ademola II and was also the secretary of Egba native authority within 1937-1950. Was born in 1916 and died in 1996. 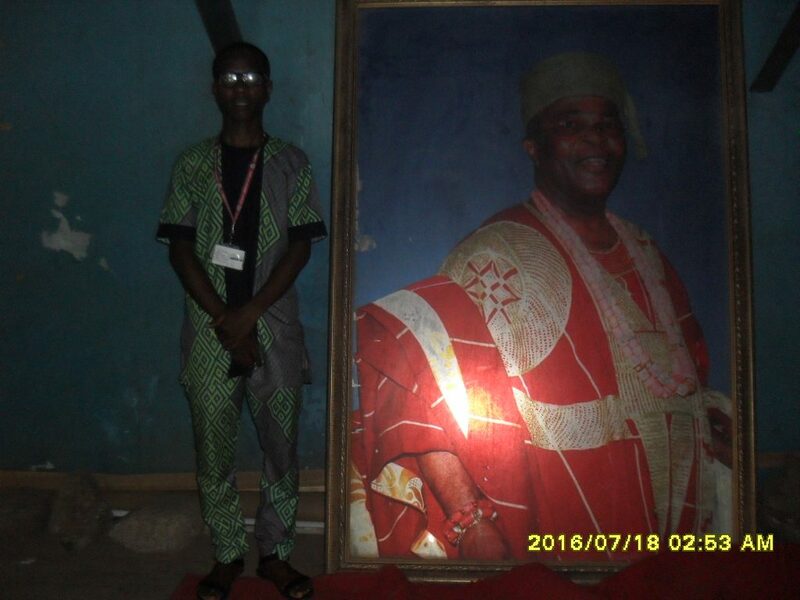 Her son who is the present Oba of Sapon (leadership runs in the blood!) is Oba Adedapo Adewale Tejuosho He ascended the throne on the 20th of may 1989 and is currently still ruling. After putting all these facts and figures down in my notepad, Baba added that centenary hall is also a multipurpose events centre where innumerable numbers of events (especially weddings) are held. Though, it’s a historical centre, it’s not restricted as everyone could use it for events but will have to pay a token to gain access. What fascinated me more was the smell of history oozing uncontrollably inside the hall. 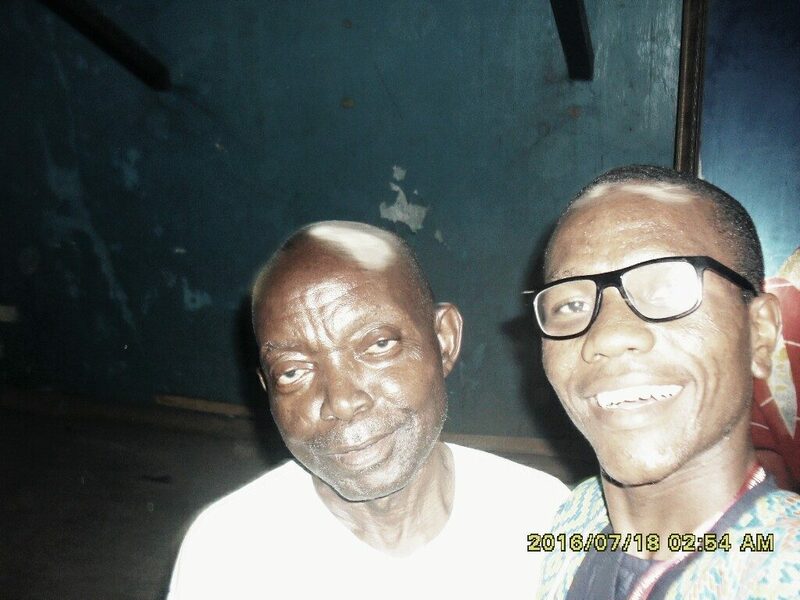 I thanked Baba, took a couple of pictures including a selfie with baba, which he was pleased with, before heading straight to the other side of the road to explore the palace of the Alake of Egba land. I was however barred by a palace guard. He explained to me that I couldn’t come in because the council of chiefs were having a meeting. I turned back without protesting. How could I have? 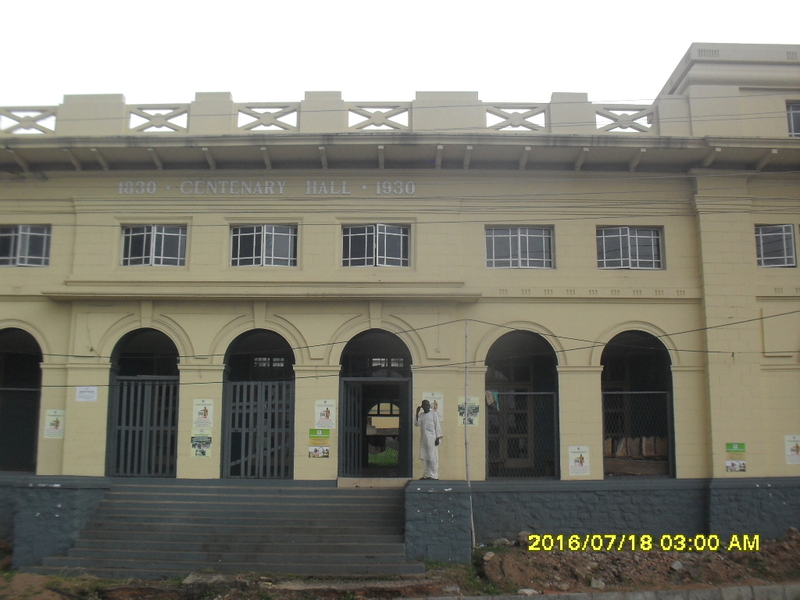 Fact: The foundation of Centenary Hall Ake was laid in 1830 and completed in 1930 after a 100 years. Next articleOlumo rock- what no one ever told you. @baby clothing, I’m humbled and at the same time happy that you’re happy. Thanks for reaching out. just keep up close because I won’t disappoint. You got the last king before Oba Adedotun Aremu Gbadebo wrong. He was Oba Folorunso Lipede. Pls get your facts right. So sorry about that Sylvester. well, I’m glad having someone like you on this platform. i have already taken care of that.